Mr. Nader is a nationally recognized practitioner with over 25 years of litigation and trial experience in insurance defense. Mr. Nader has served as counsel for domestic and international insurance carriers in complex commercial and personal lines property matters, as well as automobile, transportation, and admiralty claims. 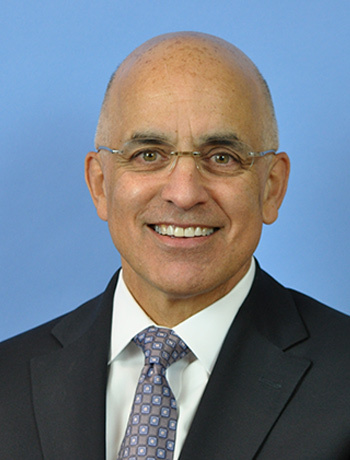 During his years of practice, Mr. Nader has acquired a particular expertise in litigating large claims arising from catastrophes such as Hurricanes Katrina, Ike and Wilma and the Moore, Oklahoma Tornadoes. Mr. Nader has appeared as counsel and litigated matters in Texas, Louisiana, Mississippi, Alabama, Florida, South Carolina and Oklahoma. He is also an Adjunct Professor at Tulane University, where he teaches litigation and insurance related courses. Mr. Nader obtained his law degree from Loyola University School of Law. Following law school, he attended the University of Notre Dame’s National Institute for Trial Advocacy. Mr. Nader has authored articles in the areas of his expertise for various legal publications, including the American Bar Journal, Tort Trial & Insurance Practice Law Journal and as a contributing editor for Marine News Magazine. He is a member of the Louisiana, Texas and Oklahoma State Bar Associations, the Louisiana Association of Defense Counsel, the Advisory Panel for the ABA, The Claims & Litigation Management Alliance, the Admiralty, Maritime and Insurance Coverage sections of the American Bar Association, the National Institute for Trial Advocacy, and the Defense Research Institute.